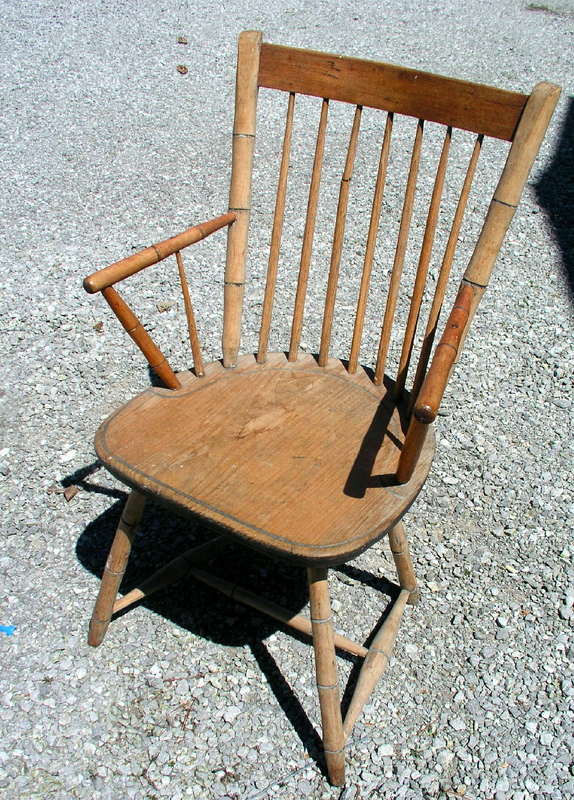 This pine and maple arm chair was made on the East Coast of Canada, circa 1860. It was originally black and has been taken down to the pine. 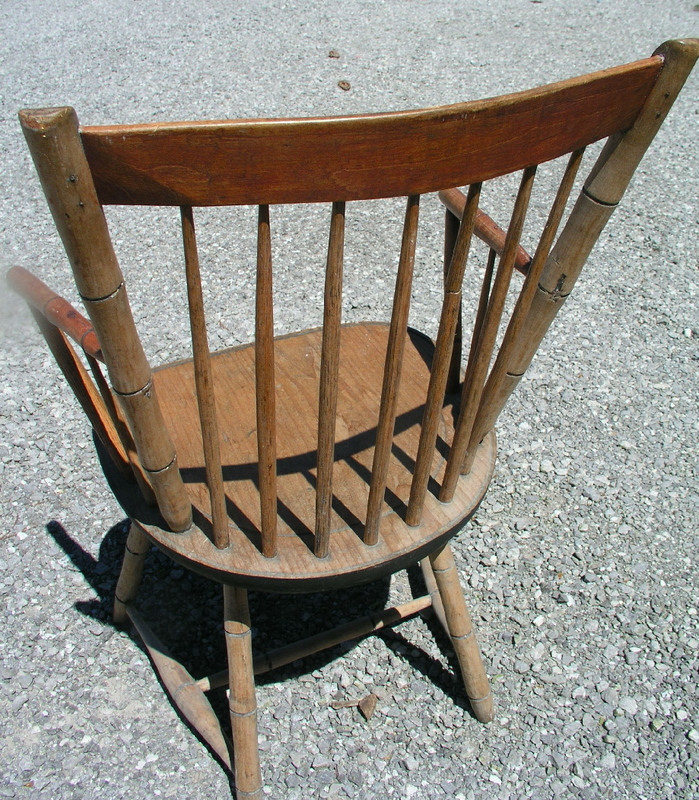 Solid and complete with one small mended break to one of the back rungs. Comfortable to sit in. 15 1/2" tall, 17" wide, 16" deep.